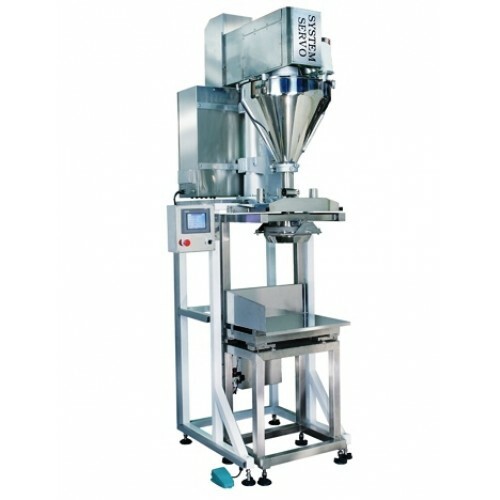 Weighing Filling Machine especially ideal for weighing and filling various powder and granular products requiring big volume and high accuracy, such as highly priced medicine and Chinese herbs, biological powder, chemical powder and food additive powder etc. The weighing data is fed back to servo system to perform 2-step or 3-step filling. This permits filling accuracy reaching to ±0.1%. Graduation of load cell is 1g – Japan A&D system. In case trouble occurs, the machine will stop automatically for safety protection. 20 sets of memory modules. One set of dust collector.